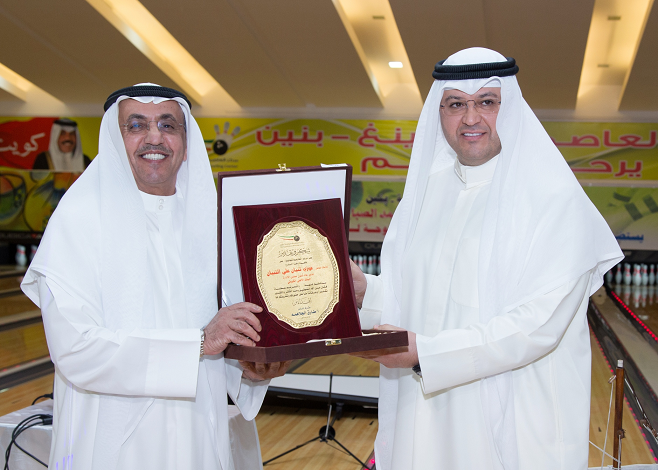 Al Ahli Bank of Kuwait (ABK) announced its sponsorship of a bowling tournament event for students with special needs. The event, organized by and hosted at the Capital Boys Bowling Center in Daiya on 10 April, 2016, saw the participation of over 30 students from various schools. The event was attended by H.E. Sheikh Talal Al Mohammed Al Sabah, President of the World Ten Pin Bowling Association, the Kuwait Bowling Federation and the Asian Bowling Federation, Mr. Faisal Al Maqseed, Assistant Undersecretary of the Ministry of Education for Educational Development & Activities and Mr. Fawzy Al Thunayan, General Manager of Board Affairs at ABK. ABK actively supports the special needs segment in Kuwait, in line with its Corporate Social Responsibility (CSR) focus for 2016. It is committed to raising awareness of this segment and promoting a sense of equality amongst the general public. The Bank recently sponsored several other initiatives that focus on engaging individuals with special needs, through different activities that allow them to socialize and interact in the midst of an uplifting and friendly environment.